Going out to dinner in Buenos Aires is unfortunately expensive for those of us who earn pesos. Lunch on the other hand is a worker’s reward! 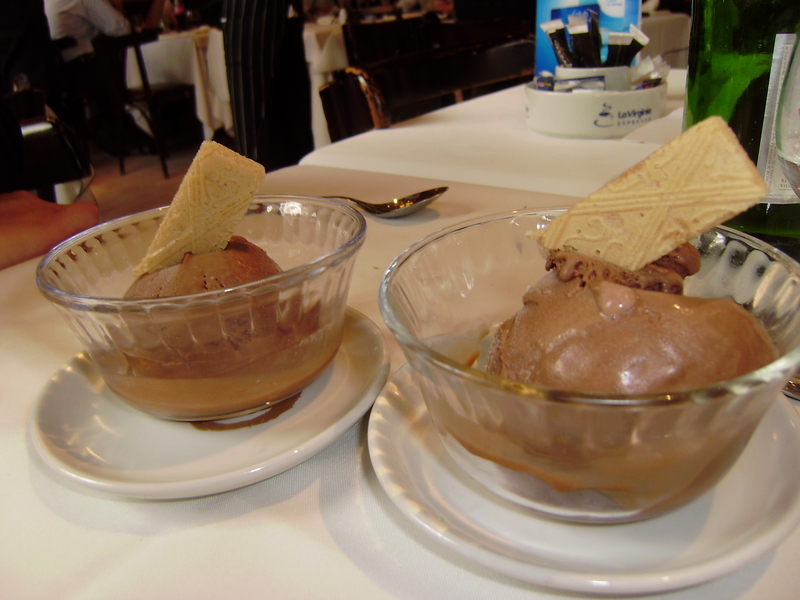 Restaurants offer a daily ‘menu ejecutivo’, which includes an appetizer, main course and dessert of coffee. Prices usually range between 25 – 50 pesos. I went out for lunch downtown with a student. Lunch was included in the class. Good thing that isn’t the case for all of my classes. 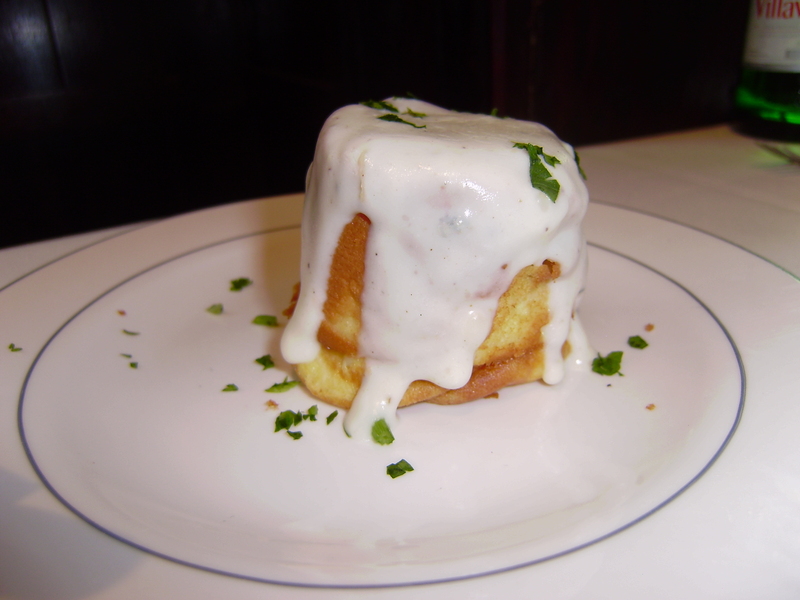 My appetizer was a cheese soufflé. It was perfect. For the main course I chose a filet of merluza con puree. 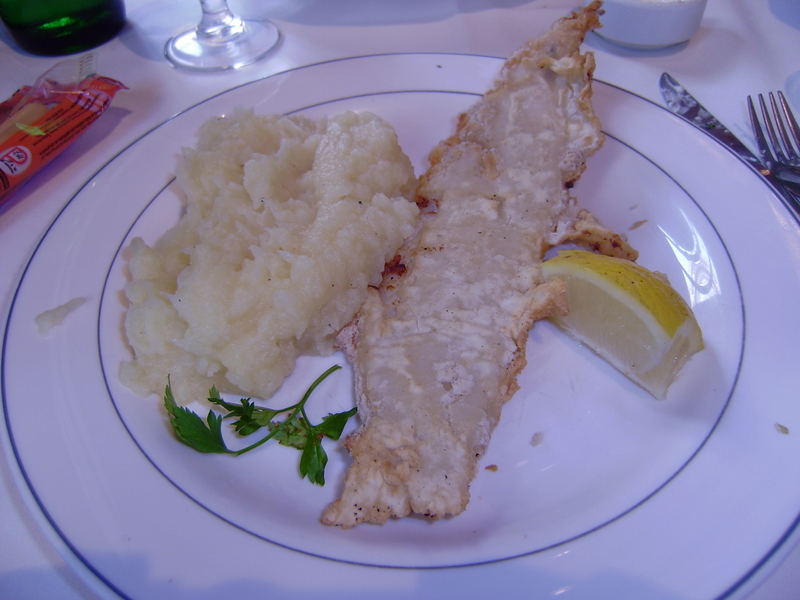 Merluza is a cod-like fish, and puree is a far too fancy name for mashed potatoes. Unfortunately the fish was deep fried and very fishy. Coming from the Pacific Northwest, I am a verified fish and seafood snob. Argentines aren’t big consumers of fish…mostly because they’re too busy eating steak. Since my sweet tooth is completely out of control, chocolate ice cream was the final verdict. You win again chocolate…you always do.